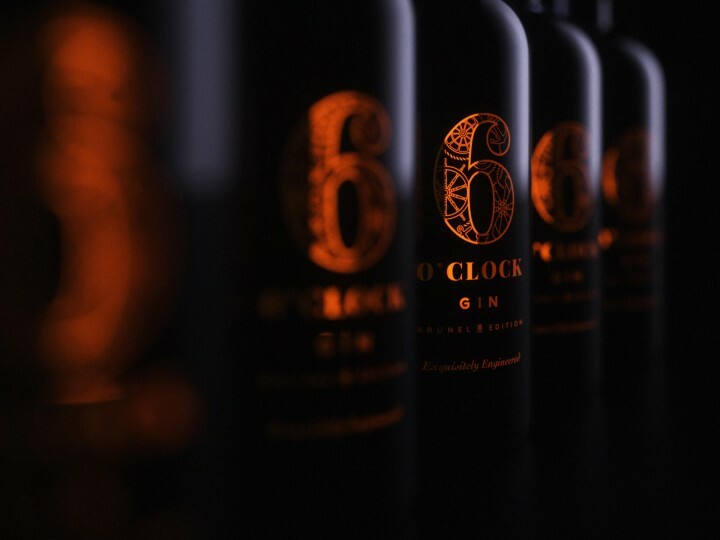 On the back of our acclaimed redesigns for Bramley & Gage’s 6 O’Clock Gin and Liqueurs range, they returned to Green Chameleon to ask us to design a special edition bottle celebrating Bristol’s proud heritage. Isambard Kingdom Brunel is a character synonymous with Bristol, a key figure of the Industrial Revolution whose influence can be felt in the city’s architecture, character and notable landmarks such as the Clifton Suspension Bridge and SS Great Britain. Taking inspiration from this famous figure, Bramley & Gage sought to celebrate Bristol and their own heritage with a limited edition gin and needed characterful packaging design to match. 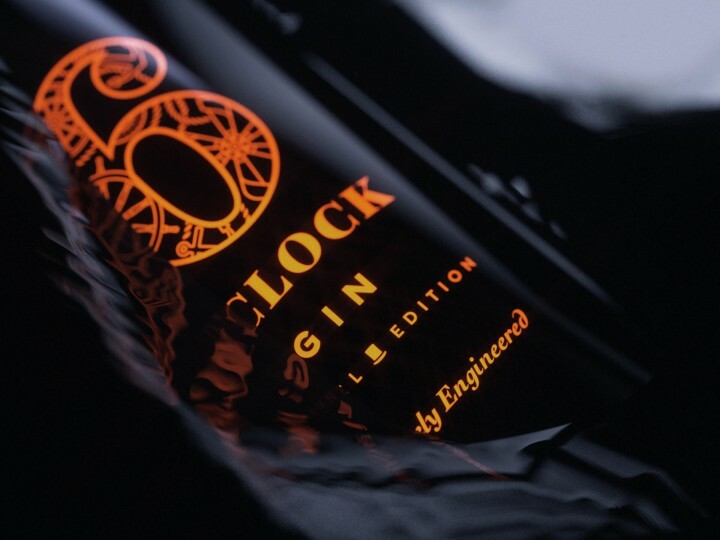 The biggest challenge presented by this brief was creating a piece of packaging that could be recognised as part of the 6 O’Clock Gin range whilst standing alone as a new and limited edition product. With the name and idea behind the gin already decided, we knew that we wanted the product to make waves as a naval gin (the name given to a gin that has around 50% volume/alcohol) whilst being instantly recognisable as a member of the 6 O’Clock gin family. 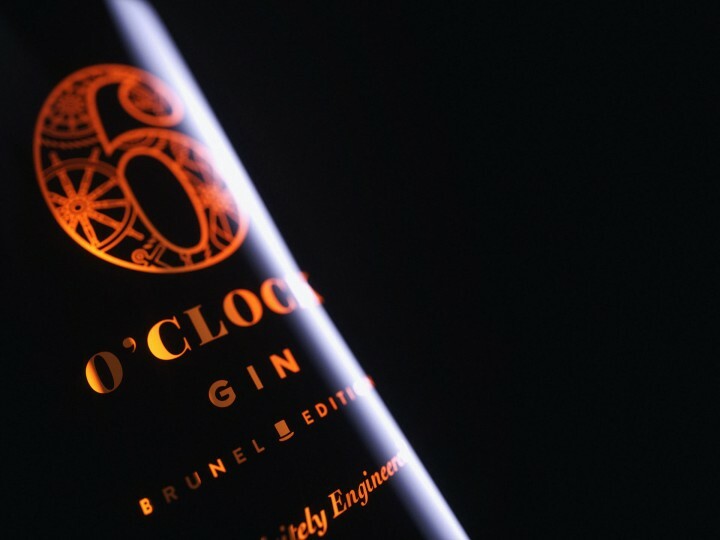 We were inspired by the industrial background associated with the gin, so we created themed assets that helped mirror the cogs that appear across 6 O’Clock’s original packaging whilst taking inspiration from the components that powered the SS Great Britain The assets we built included a propeller, anchor, wheel and engine driving system, all operating throughout the packaging’s design. 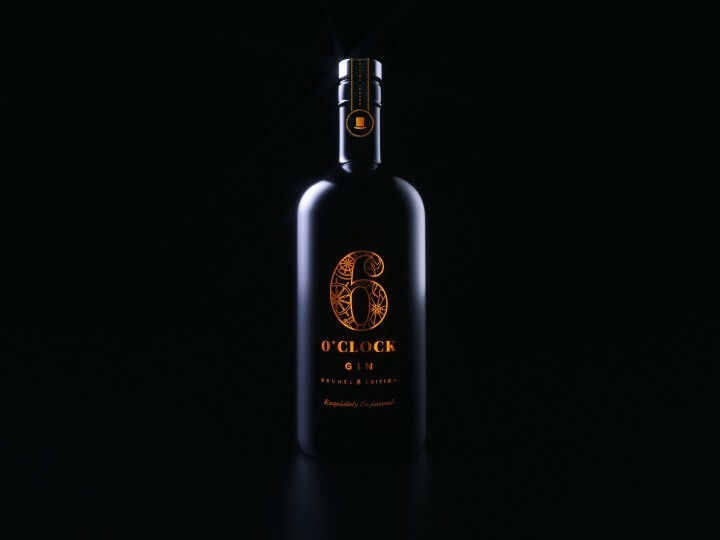 We wanted this new product to look premium and sit well with the rest of the 6 O’Clock gin family. To achieve this, we paired the black bottle – a colour we selected because of its relation to the coal that had powered the SS Great Britain – with a vibrant copper foil that helps create an eye-catching, contemporary bottle with roots in Bristol’s history of innovation. The resulting bottle presented here hits all the marks that we and the client were aiming for, creating a standout piece of packaging – scroll through our image gallery to see for yourself. If you like what you see, you can pick up a bottle for yourself through the Brunel site!